Wine of Spain. 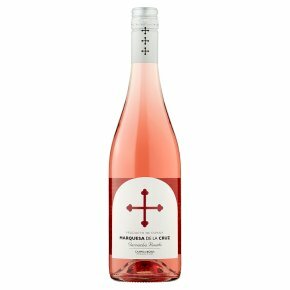 A delicious, dry modern Spanish Rosé from Garnacha grapes grown in mature vineyards on the slopes of Mt. Moncayo, near Zaragoza. Intense aromas of strawberry and raspberry, with notes of cinnamon and vanilla are followed by ripe fruit flavours and refreshing acidity. Enjoy chilled on its own or with tapas, seafood paella and spicy foods.